We’re well underway for festival season and we’re only two months in to 2019! But ArcTanGent aren’t delaying as they give us a whole raft of awesome acts! 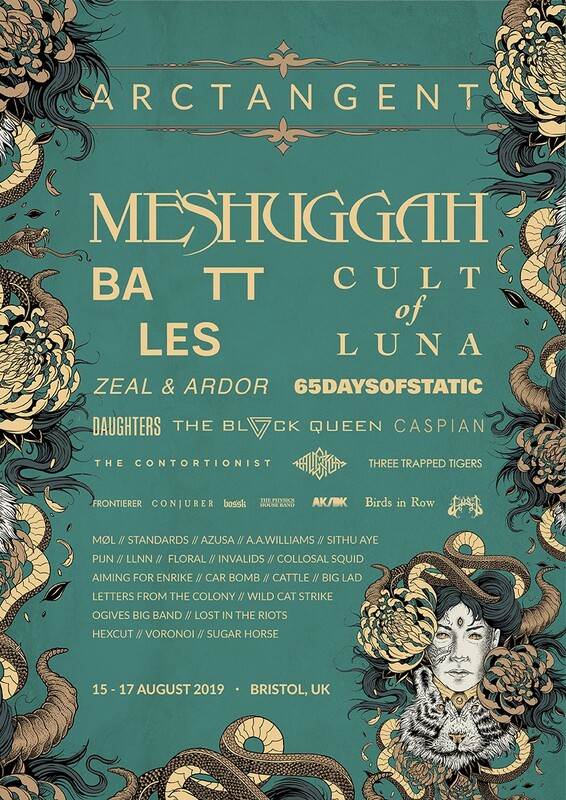 We’ve been waiting a wile to see who would be joining Meshuggah at this year’s ArcTanGent festival and now we have a wave of acts set to turn Bristol into one big metal fest! Battles will be joining Meshuggah as headliners, taking their spot on the Friday night. Also announced are Cult Of Luna, Zeal & Ardor, 65daysofstatic, The Black Queen, Daughters, Caspian, The Contortionist, Three Trapped Tigers, The Algorithm, Frontierer, Conjurer, Bossk, The Physics House Band, MØL, GosT, AK/DK, Birds In Row, Car Bomb, Azusa, Pijn, Sithu Aye, LLNN, A.A. Williams, Letters From The Colony, Invalids, Standards, Collosal Squid, Aiming For Enrike, Floral, Cattle, Wild Cat Strike, Lost In The Riots. Big Lad, Voronoi, Ogives Big Band, Hexcut and Sugar Horse! ArcTanGent won 2018’s Best Small Festival and will take place between 15-17 August 2019 at Fernhill Farm, Compton Martin, Bristol. Band management assistant. Goth princess and lover of all things music and sport. Top 10 New Singles of the Week!